What are your expectations for this game Sonic and the black knight? I think it'll be awesome! Since it's on the Wii, I expect to actually be able to control sword moves with the Wii remote. I would also like to stop and fight every enemy, cuz I would enjoy that, but sounds like that probably isn't going to happen... Oh, and I want to see Shadow with at least one sword and I want his role to be good! I've always advocated Shadow having a scythe. That would be awesome. Yeah, I drew it myself. thats pretty good, but I still say scythe. 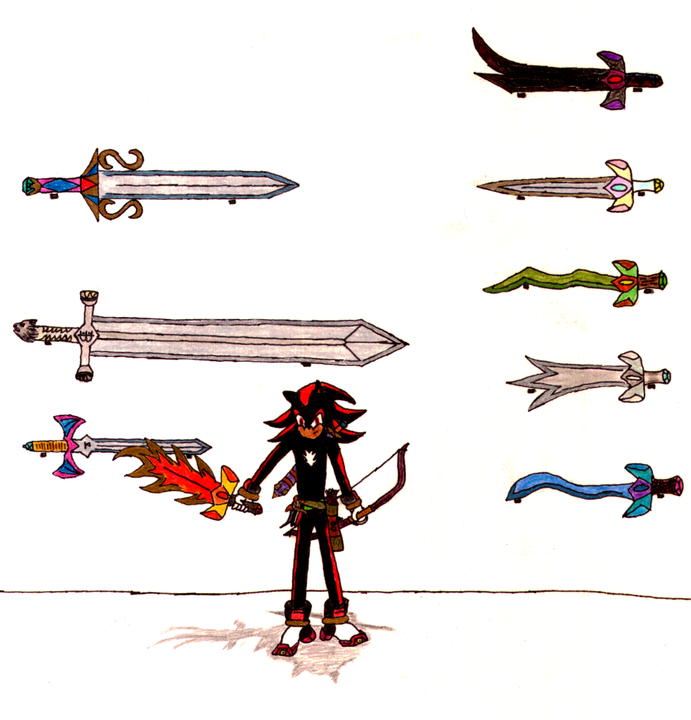 Personally, I think Shadow's style is more aptly suited to up-close-and-personal sword combat. I made a topic specifically for Shadow's role in this game. Shall we move the conversation there? Subject: Re: Expectations for this game!